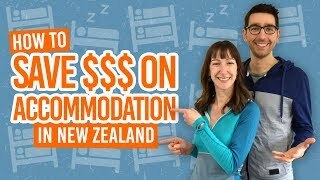 Save money when Backpacking in New Zealand! Make the most of this precious gold! With so many fun adrenaline-pumping activities, vibrant eateries and bars, and souvenir jade necklaces to buy for all your family, it is easy to see those dollars slip away from your bank account. Backpacking is quite often a change of lifestyle for many of us but saving your money for the more important things in life will soon become the only way you want to live. Making small sacrifices to save money is well worth it in the long-run, so here are our ways to save money while backpacking in New Zealand. Of course, to help you save more while travelling New Zealand, be sure to check out out other budgeting articles, such as 11 Backpacker Tips to Save Money on Food and 15 Ways to Cut Down Your Expenses So You Can Afford to Travel. We don’t want to say sponge off other people but… splitting groceries or laundry with a friend, using the perks of a friend’s job at a bar for a sneaky free drink, knowing someone with a car… there are these little perks of making new friends while you are backpacking or staying somewhere in New Zealand for a working holiday. As any decent human being would do, try to return favours. While you eat away at your restaurant and takeaway food, the food is eating away at your bank account. Buying from a supermarket and cooking in your hostel or flat is much cheaper. For inspiration on what to cook, see: 10 Meals Easy to Cook in a Hostel. When you stay somewhere for a while make sure to keep an eye out for discounts in leaflets, newsletters, loyalty cards and on the BackpackerGuide.NZ DEALS tab. There are even discount cards that you can benefit from by being a backpacker! Find out more in 7 Discount Cards for Backpackers in New Zealand. A way of experiencing New Zealand while mingling with some locals is through WWOOFing. With WWOOFing you get free accommodation and meals in exchange for work. Check out Everything You Need to Know About WWOOFing in New Zealand. Using the inner city bus links, national coaches and flights can be cheaper than taxis and fuelling a car for long journeys, as the average price of petrol is NZ$2.15 per litre and diesel NZ$1.41 per litre (2018). Free WiFi spots are hard to come by in New Zealand, so make the most of it when you have it. Otherwise, keep an eye on mobile data and use megabytes sparingly. Choose a cost-effective cellphone plan by taking a look at Cellphone Networks in New Zealand. 7. Do you really need to do every activity? New Zealand has so much to offer in terms of activities, it’s hard to not sign up for everything (especially if you are on a hop on hop off bus). Make a plan of things you really want to do and stick to it. 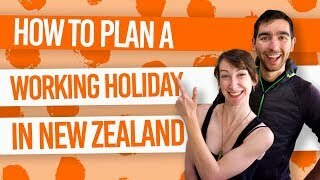 (And we’ll help you with that hop-on hop-off bus issue with How to Budget for a Hop-On Hop-Off Bus Trip Around New Zealand). Trust us, going for a walk in New Zealand is a really good and free way to spend your time. Have a browse through our hiking section for inspiration. Having someone to travel with means you can split the cost of food, transportation, get a cheaper shared room when flatting – just flatting, in general, tends to be a cheaper accommodation option for a long-term stay. Additionally, make the most of 2-for-1 deals on activities. 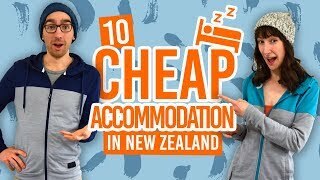 Most hostels in New Zealand look for people to work in the hostel in exchange for a bed. This might include housekeeping, cleaning or working at reception. Find out more in How to Find Work for Accommodation in New Zealand. Perks might include free cycle hire to go exploring. A few hostels in East Cape, North Island will let you borrow a kayak, so take your exploration to the waters. Look out for those little extra comforts such as free breakfast and dinner or steam room and spa.